Brooklyn shoppers get ready! 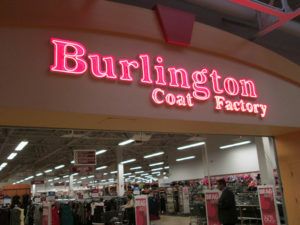 Burlington Coat Factory will be joining the likes of Macy’s, H&M, Foot Locker, Michael Kors, Forever 21, and Old Navy in Kings Plaza Shopping Center. Burlington has signed a lease for 55,000 square feet at the Kings Plaza Shopping Center in Mill Basin. As reported by the Real Deal, the 10-year lease was signed with Macerich Company, the Santa Barbara real estate investment trust which owns regional malls across the United States. The deal includes three optional five-year extensions. The price for the lease has not been disclosed. This past November, Third Point, Daniel Loeb’s hedge fund, acquired a 5 percent share in Macerich. The company did not comment on the new lease agreement. Burlington will encompass 52,915 square feet on the fourth floor of the mall at 5100 Kings Plaza. An extra 2,163 square feet is included in the lease but located on other floors of the mall. “Kings Plaza is a highly successful shopping destination in Brooklyn, and it offered the right size space on one floor,” said Cliff Simon from CNS Real Estate, who brokered the deal. He said Burlington sought after the location due to its heavy traffic volume and the amount of available space spread on the same floor. The department store, established in 1972, boasts 591 stores in 45 states and Puerto Rico. With its corporate headquarter in Burlington Township, New Jersey the store is publicly owned and traded on the NYSE. The name-brand discount mega-store, which is known for offering 65 percent off retail prices, also signed a new lease over the summer at 2948 Third Avenue in the South Bronx. That 55,000 square foot store is slated to open in the first quarter of 2018.